You’ve signed the lease on your dream apartment, finished packing like a pro, and scheduled a MakeSpace pickup for your last-season wardrobe. All that’s left is tossing Fluffy’s litter box and Fido’s blanket in the trunk. Should be a cinch, right? Just a doggone minute – that stress you feel while moving is amplified for your sense-heightened, totally paw-erless companion. 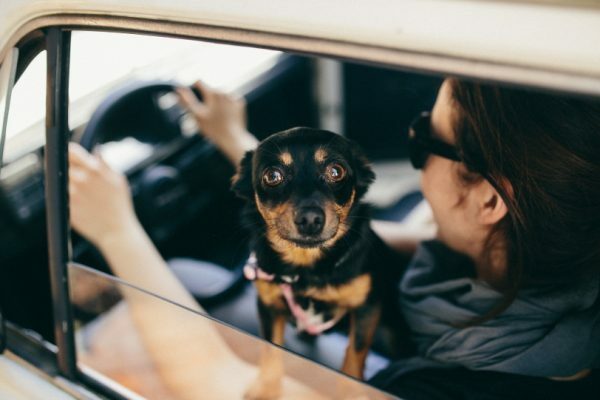 Whether you’re moving with pets across the country, flying abroad, or simply switching hoods, there are easy steps you can take before and on moving day to help the both of you smoothly transition under your new woof. Make sure all collars are updated with your name, cell number, and new address. If you’re leaving the vicinity, schedule a final appointment with your vet. This way, you can get recommendations for your new area, pick up vital medical records, and register a microchip if you haven’t already. Got a particularly anxious dog or cat? The ASPCA recommends leaving your packing boxes out a few weeks beforehand to ease your pet’s sensation of change. If you recently rescued your pet, this technique also allows him/her to get familiarized with his/her future kennel. Which should contain some treats, because it’s a sweet positive reinforcement trick. Also, when you’re packing your own overnight bag, make sure you’ve got one for your four-legged co-captain as well. Load it with litter, food, toys, and treats — plus room deodorizer if you’ve booked pet-friendly lodging. As dog whisperer Cesar Millan points out, a tired pup is more likely to be a relaxed one. Go for a long walk or jog before starting your journey, especially if you’re planning on crating. 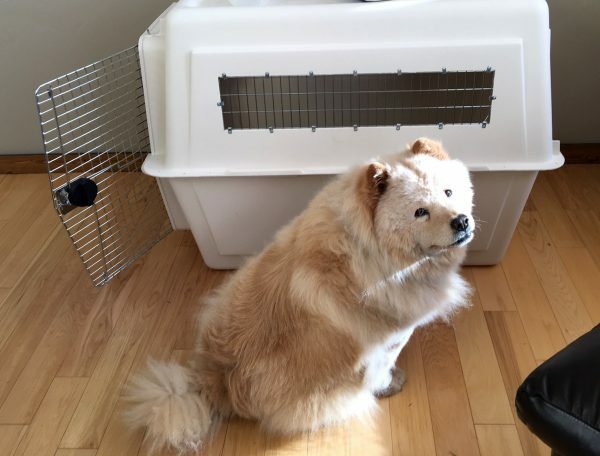 Not sure if you should crate your dog or cat in the first place? According to Wirecutter, the best transportation vessel depends on the size of your pet. Bigger dogs and carrier-averse cats need a high-quality harness, such as the Sleepypod Clickit Utility. Smaller critters bode best in mesh carriers or crates, which pass more crash tests than plastic. No matter which pet carrying method you choose, Allied Moving Co. recommends you avoid feeding your pet for seven hours before driving. Super important: Bring a gallon or so of water for the road. Unfamiliar water can cause upset tummies, which won’t mix well with possible anxiety and motion sickness. Also, stop at least every two to three hours for breaks, stretching, and walks. For cats, bring a harness to prevent them from bolting into traffic. Animals, just like humans, are sensitive to motion sickness, so keep the A/C on or leave the windows cracked a few inches. Because you don’t want stray litter or debris harming your pet’s adorable face. While you’re driving, keep the windows on child lock because you never know when a loose paw can strike. And never leave your cuddly companion alone in the car. 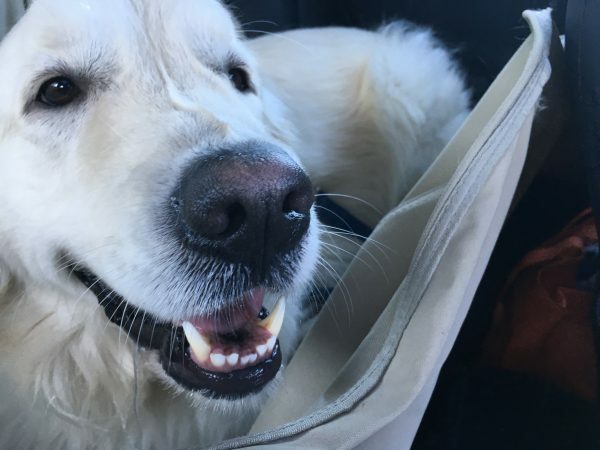 PETA warns that dogs can die when left inside a car, even in mild weather. Going the distance? Book as early as possible. The number of pets allowed is normally limited to one or two per flight. Thinking about booking an indirect flight to save money? Consider booking a nonstop flight instead to minimize any anxiety your pet may feel from being moved around too much. On the day of the flight, Andi Parker from Air Animal Pet Movers recommends giving your pet plenty of water, but no food for at least four hours prior to departure. This minimizes “the chance for an upset stomach or need to soil the kennel,” says Parker. Once you and your best friend are at the airport, make sure you both get some exercise with a short walk before doling out any necessary meds. Speaking of meds, do not use tranquilizers, since they can cause breathing difficulties. Instead, Cesar Millan (we seriously love this guy) recommends naturally quelling your dog’s anxiety by rubbing lavender essential oil on your hands and massaging your dog’s spine or the base of his/her head. Alternatively, Parker suggests placing an old t-shirt (because it’s saturated with your familiar smell) in the kennel/carrier for a calming effect. Yes, regardless of whether or not you’re checking your pet with your baggage, he/she must be in a kennel or carrier. If your pet is going in the passenger cabin, the Federal Aviation Administration requires that you put him/her in a carry-on sized carrier. If you’ve checked your buddy with baggage, confirm with a flight attendant after you’ve boarded to make sure your pet has also been loaded. Check the guidelines for your new home. 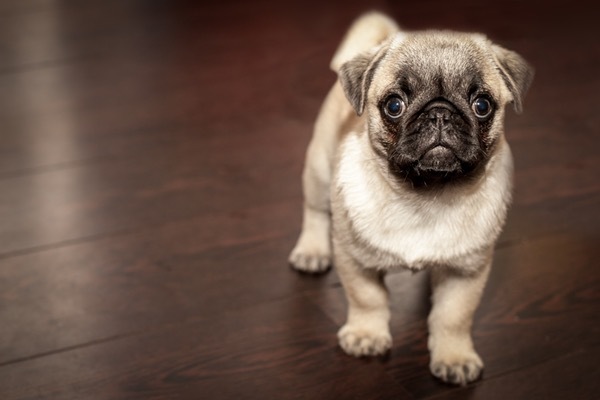 PetRelocation has a great pet import requirements guide to get you started. You might want to use a pet moving company, since the process can get extremely technical. Obstacles can range from weather-induced flight delays to unexpected regulations at border patrol. 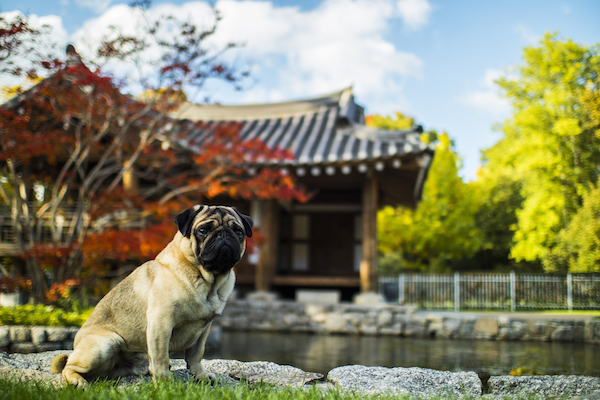 “Many pet owners don’t realize they can hire pet travel professionals who specialize in carrying out complex pet moves around the world,” says Caitlin Moore of PetRelocation. Help your furry friend adjust to your new home by setting up at least one room with several familiar items before you have him/her enter. Things like your pet’s bed and favorite chew toys (which you can easily store in any of these 10 pawdorable dog toy storage solutions) will make him/her feel all the more at home. Also, keep routines consistent: AARP suggests sticking to your normal schedule, including walks, bedtime, and outside time (even if kitty needs that harness again). All finished with your crate, but no place to store it? Find yourself tripping on chew toys galore and your pet’s royal collar that he/she only wears once in a blue moon? Schedule a MakeSpace pickup and clean your pet’s crate and toys with quick wipes like Nature’s Miracle Deodorizing Cage Wipes. We’ll pick up everything, transport it to our secure and temperature-controlled storage facility, and create an online photo catalog so you never forget what you have in storage. When Fluffy wants her stuff back, all you have to do is log into your MakeSpace account and click the item’s photo. We’ll deliver everything to you.